Meet Nikky, an environmental scientist, responsible for analyzing soil and water samples from all over the U.S. 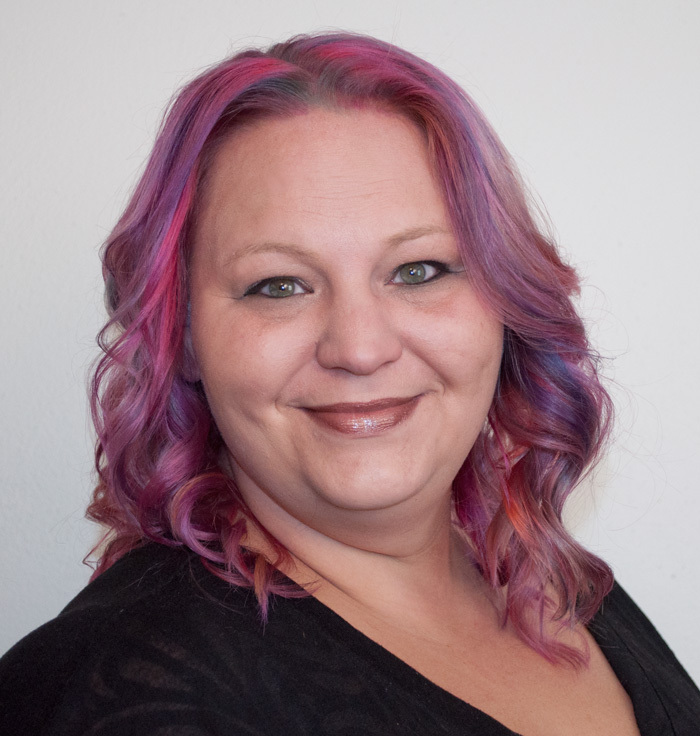 Originally from Cambria County, Nicole earned a degree in chemistry from the University of Pittsburgh, and now lives and works in Nashville, TN. Nikky likes to be a little adventurous with her hair, and she was delighted with the subtle shades of green and cobalt in this colorful make-over. She drove over 700 miles the weekend we opened Cuts N Stuff in order to be one of our first clients in our new location. 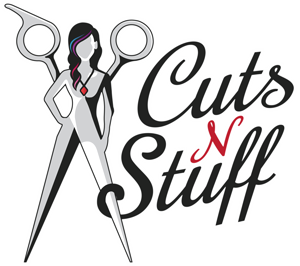 Thanks, Nikky, for allowing Cuts N Stuff to use your image on our web site. Keep that beautiful smile! Click above to see before and after photos. Meet Alisha, a busy lady on the go with two jobs and five kids. Over the years, Alisha’s done a little of everything with her hair, but never short. She likes long hair and prefers blonde. In keeping with her outgoing personality, Alisha enjoys being fashion forward and didn’t shy away from vivid color in this longer, relaxed curl style. The slightly darker blonde tones combined with shades of red and violet complement Alisha’s complexion and add shine and bounce. 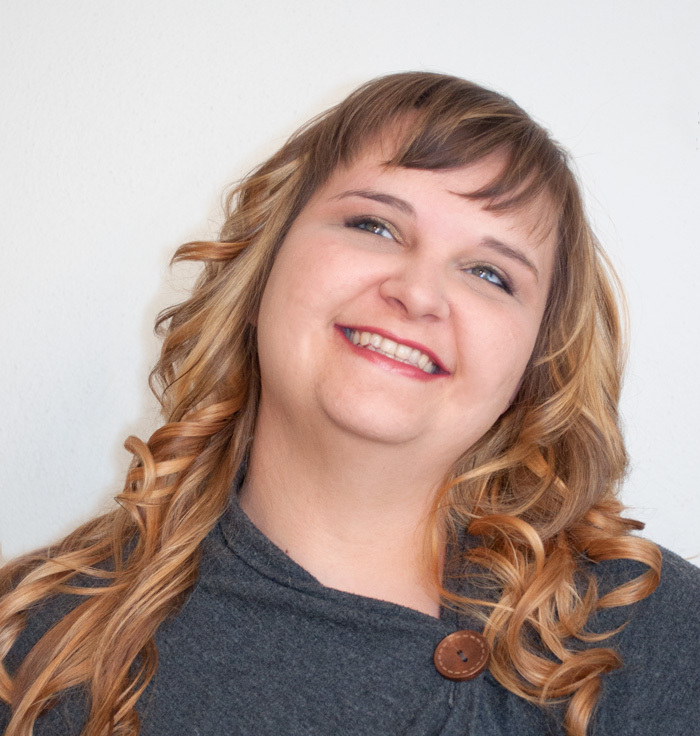 Thanks, Alisha, for being so open to this bold hair make-over, and for allowing us to use your photos on our web site. May the gods of good hair continue to shine upon you! 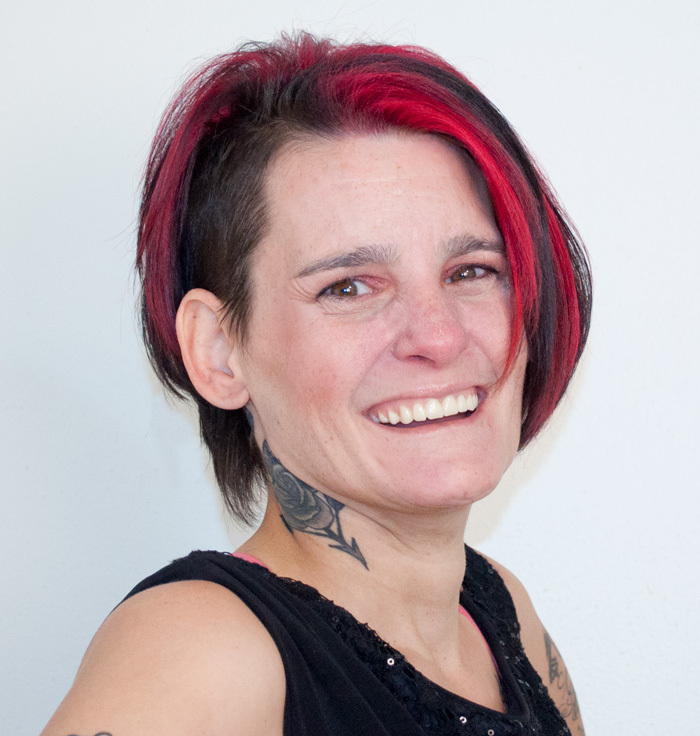 Meet Lisa, a home health professional and super mom, now totally transforming her life. Lisa recently underwent weight loss surgery and became a grandma of twin girls. Now she’s planning a marriage and looking forward to her new life. With all that, a hair make-over feels totally right. Lisa’s always had short hair, and she likes carefree styles. 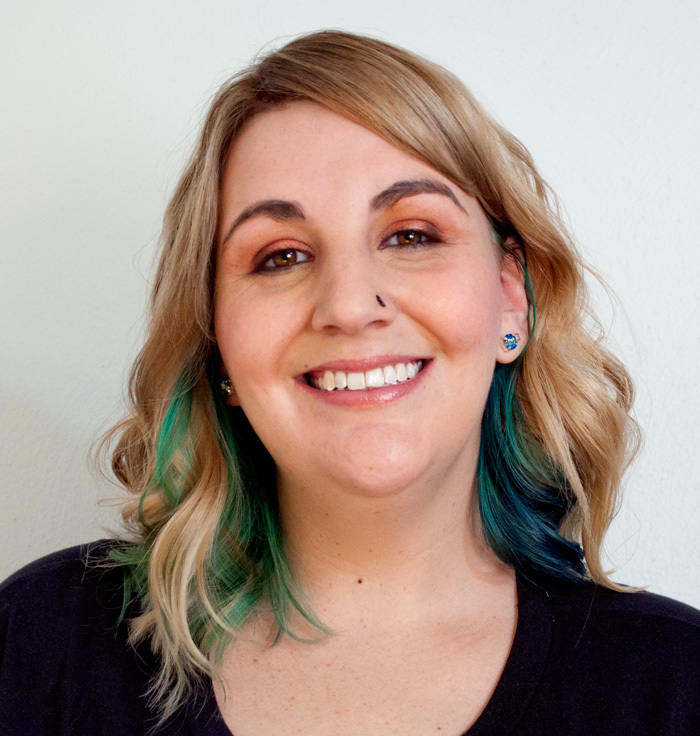 Because her hair’s always been dark, Lisa never thought color would work for her … until now! This youthful look features a fuller razor cut with scarlet highlights. It erases years and adds zest, as you can see reflected in Lisa’s happy smile. Thank you, Lisa, for allowing Cuts N Stuff to transform your look and for letting us post these photos. We send happy wishes to you and your entire family. Blessings in coming years and beyond. Meet Erin, mother of an active 9-year-old, and manager at a popular national pizza restaurant. Erin is one of four sisters. Her mother always wanted her girls to have long hair, and so Erin has always had very long hair. She also claims to have a cowlick … and an adventurous streak. She’s been known to cut her own bangs, clip in her own layers, and more. At Cuts N Stuff, Erin’s make-over began with some classic trimming and shaping, followed by our new clay color procedure that added dimension and golden highlights to Erin’s loose curls. It’s a romantic style that seems to suit this classy lady. Her hair shines with good health and her smile wins the hearts of all she meets. Thanks, Erin, for letting Cuts N Stuff style your beautiful locks, and for allowing us to post these photos. We send miles of smiles to you.